* This is the cat I hatched during the Easter Egg Hunt Contest. I was the very first person to find an Easter Egg (#6), finding it within the first minute. Throughout the 10 rounds/hours of competition, I was the first to find 46 different eggs, and found another 8 after someone else did. *This is the cat I earned for winning the Trivia Contest. I won first place, answering 63 out of the 118 questions. Two people were tied for second place with 10 correct answers. Recessive jewel for Birman (Lapis). Recessive jewels for Caffeine (Lapis), Cinderella (Lapis), and Rollercoaster (Lapis). 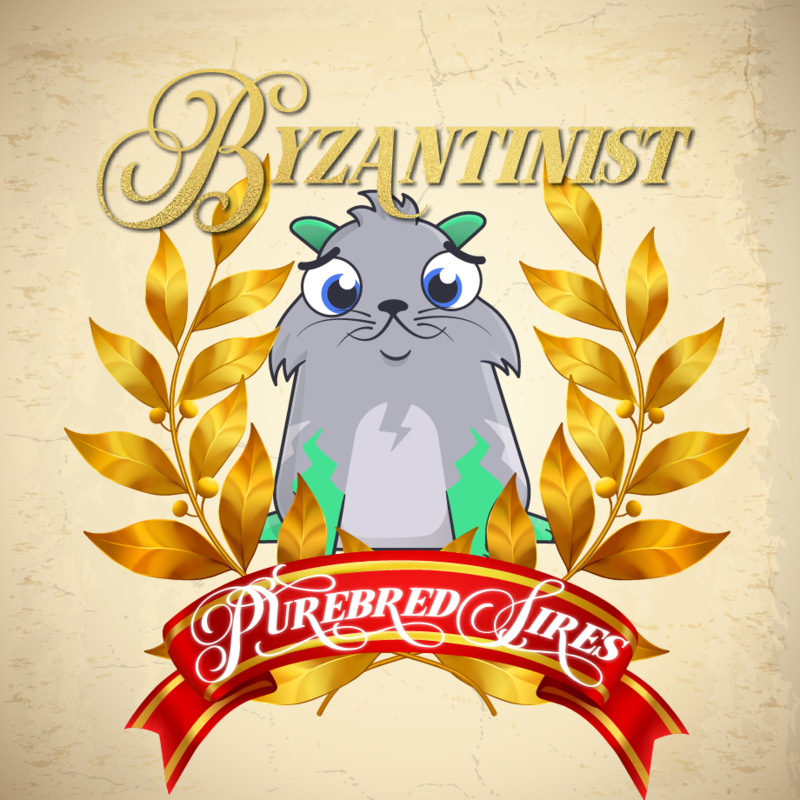 * This cat is the very first purebred Wowza in existence! * Wowza can only be found as a recessive gene in Gen 0's, so it only begins appearing as a dominant trait in Gen 1's.